Is there anything more fascinating that watching people meeting for the first time and getting on? I really don’t think there is. It’s such a fundamental human need. I’ve been reflecting on this a lot recently inspired by an intense burst of travel around the world to help facilitate the UBS Future of Finance Challenge Regional Launches in Singapore, London, New York and Zurich over the past few weeks. In each case we brought together small companies from many countries together with UBS mentors to explore new ways to collaborate and reinvent the future of finance. And whilst we had been through a very thorough evaluation process beforehand, it’s always remarkable to me how different it really is when you finally meet people in a room. Whatever you read on paper beforehand means very little compared to the chemistry and conviction of meeting people in person and they way they interact with you and others. At the complete other end of the spectrum, my favourite guilty secret TV viewing right now with my better half on a Friday night is a show in the UK called First Dates. The format is very simple. Single people from all walks of life and paired up in interesting ways and filmed having dinner together for the first time. At the end of the meal they are asked if they would like to see each other again for a 2nd date. Sometimes they do. Sometimes they don’t. Sometimes you can guess if they will get on as soon as they meet. But often you can’t. It’s completely compelling. I describe myself (on twitter and elsewhere) as a compulsive connector. That was a persona suggested to me by my business partner David when we started 100%Open and I think it pretty accurate. I enjoy the process of bring people together and watching what happens. And even though I’d like to say I’m pretty good at it, it’s very much an art and not a science so of course doesn’t always work. Connecting in business, or in love for that matter, is a numbers game. You have to kiss a few frogs to find your prince. It’s been great to see intense connections being made in a short burst of time and I hope that through these events we are starting to build a network of people who are passionate and enthusiastic, but also humble enough to know that they can’t do it all themselves and so have to find ways to collaborate to realise their ideas and change the world. Nice post, Roland. It is truly fascinating to see what happens when folks mix it up. Good stuff, Roland. 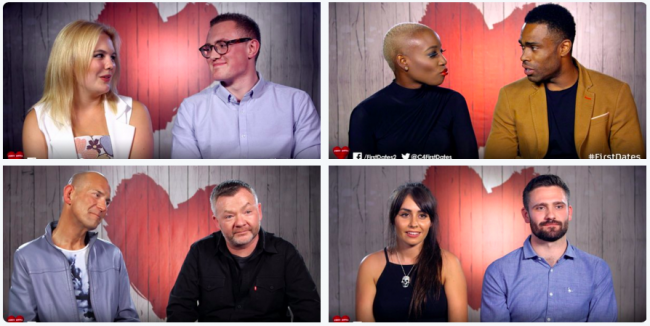 I watched First Dates and the one lovely thing that happens in that programme is that people give each other the benefit of the doubt at least until they finish their meal. 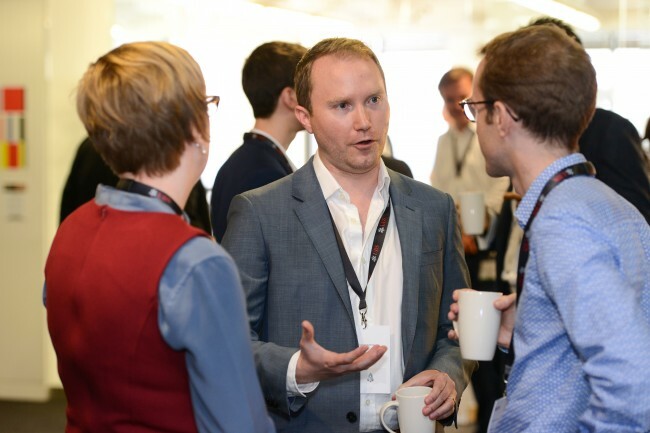 We could do that more when confronted by new people – too often I have opened a conversation with someone who after barely saying hello is already looking over my shoulder for that elusive ‘someone else’ – and this has happened both in professional and social context. We could all give each other the courtesy of focusing on each other at least for one full exchange of question and reply.